Right after Intel's somewhat mundane announcement of the Ultrabook Convertible and Ultrabook Detachable sub-brands at IDF in Beijing, SVP Kirk Skaugen surprised us by whipping out an unnamed laptop coming from Toshiba, so we jumped onto the stage to get a sniff of the only two units at the venue. 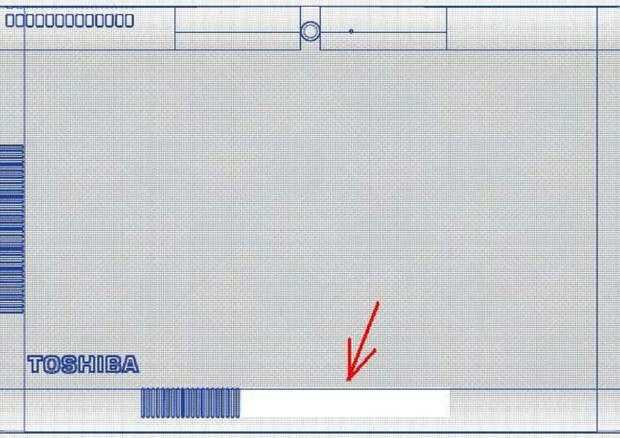 Judging by the looks of it, we're confident that this is actually the Portege Z10t that hit the FCC last month -- the vents, camera and logo on the back match those in the drawing (embedded after the break) filed in the application. As you can see, unlike Toshiba's previous Windows 8 convertible laptop, this second attempt is a detachable and features an absurdly large hinge sleeve, with the small release mechanism positioned in the middle of the hinge. The keyboard looks pretty slim in most parts, yet it also packs a backlit keyboard plus both a trackpad and a pointing stick; and most importantly, overall the docked device doesn't seem to be top-heavy. The 10-inch tablet itself also comes with a few handy ports, including a USB 3.0 port, a micro-HDMI socket and a full-size SD card slot, all located on the right-hand side along with the power socket, volume rocker, headphone jack and power button. The reps from both Intel and Toshiba were rather tight-lipped about this elusive device (the latter even said his folks have yet to come up with a name), so all we know is that this is powered by an Ivy Bridge processor (with vPro embedded security options) and it'll be available in Q2 this year. As always, stay tuned here for the eventual announcement.